Although succulents are relatively maintenance free, like all plants they need all the right nutrients to thrive. We’re really excited to see that there’s a new product on the market from Searles that’ll keep your succulent looking healthy and lush. Succulents are available in a variety of colours, and with the help of Searles Flourish these colours will really strengthen and shine. You’ll find that flowers will appear more often, in larger quantities and last longer too. It’s suitable for the garden as well as both outdoor and indoor pots. Simply add some to your watering can, and it’ll absorb rapidly though the leaves and roots. 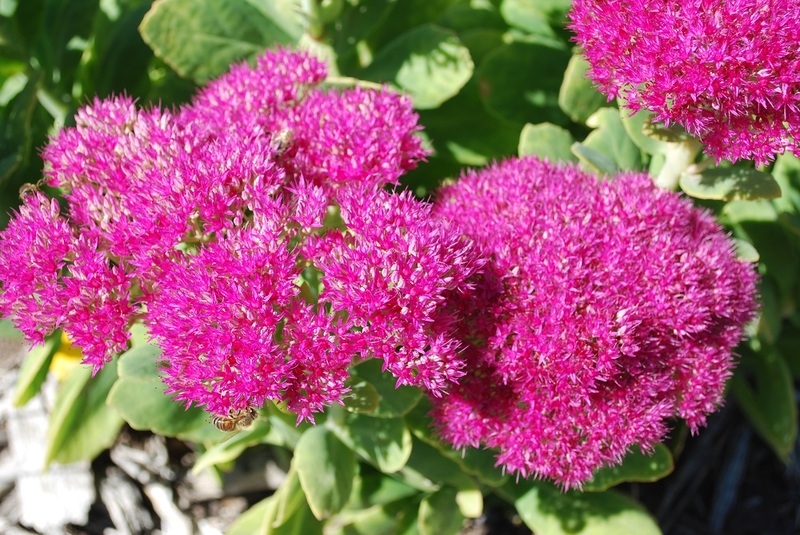 The best time to fertilise your succulents is spring as new growth begins and again in early autumn, but Searles Flourish is gentle enough to be applied all year round as needed. As succulents are generally a feature plant in the home or garden, it’s important for them to be looking their best. 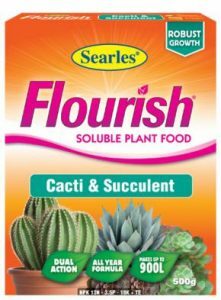 Treat them to the premium ingredients of Searles Flourish Cacti & Succulent Plant Food. For more information visit Searles Garden Products.